This is my first test with using 10×8 inch x-ray film instead of regular black & white film. Why? Because it’s cheaper. Another benefit is that you can handle it under a red safelight in the darkroom just as you can black & white paper so you can actually see what you’re doing. This not only applies to when you’re handling and loading the film into the film holders but also when you’re processing the film. A slight downside is that the surface of the film is very fragile and prone to scratching (it’s coated with emulsion on both sides) so extreme care is needed when handling. I first became aware of this film and the ability to use it instead of regular film from fellow photographer Mat Marrash via Flickr. I have him to thank for pointing me in the right direction and there have been some other photographers on Flickr that have since demonstrated how good this x-ray film really is. The first shot below is the Lock keeper’s cottage at Iffley. For my first test with this film I didn’t want to travel a long way with the big 10×8 camera so I decided to walk to a location not too far from my house. My hope was to not only find something of interest to photograph that wasn’t going to move but also to do a test portrait as well. I figured that Iffley Lock is never short of people passing through and I’ve always meant to make a nice shot of the Lock keeper’s cottage so that location was an easy choice. After I finished the portrait I let the kids peek under the dark cloth while their mum sat on the bench. It was lovely to hear them shriek with laughter as they saw the image of their mum upside down on the ground glass screen. It was then that it struck me that this was probably the first time that these kids had looked through a camera like this. They’re the digital generation coming into contact with something that couldn’t be more analogue. Hopefully they’ll remember how much fun it was. My thanks to the nice lady and her kids that stopped to chat and be photographed. I hope you like the shot. [Tech info:] Wista 10×8 with Nikon 210mm lens. X-ray film rated at ISO 100 (it probably should have been 50), processed in Rodinal 1:50 (others use 1:100) for 7mins. My first portrait on x-ray film. I'm pleased with how this turned out. Wow! Look at that stormy sky! It look stunning in this film. Keep up the great work! 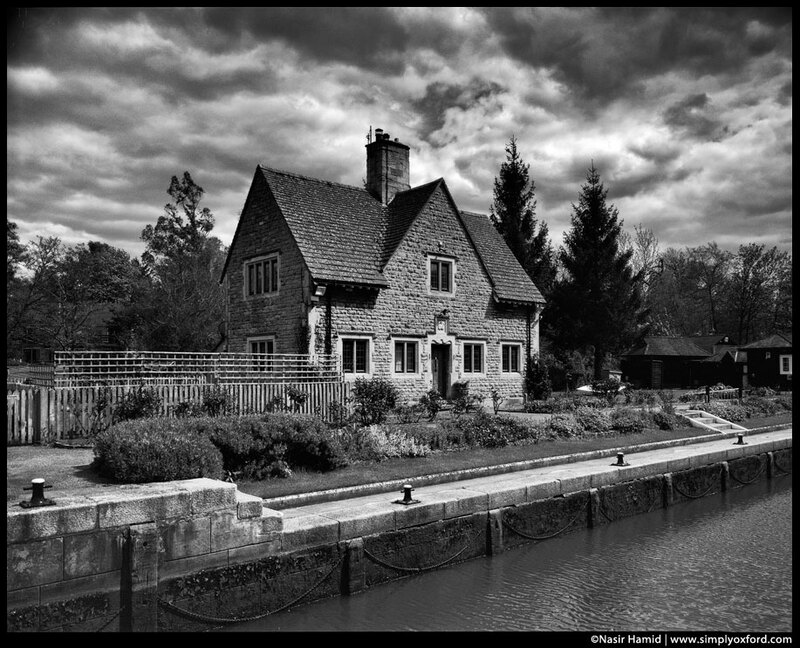 Really beautifully shot (Lock keeper’s cottage, Iffley). Great tonal range in both shots, especially the skin-tones! 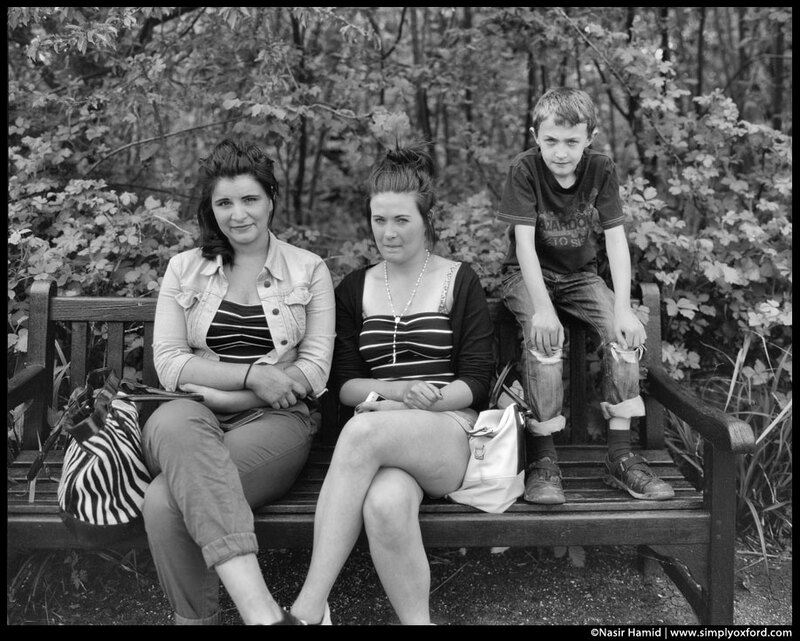 Have a look at some of my 18x24cm shots on Xrayfilm. I am also experimenting with x-ray film. I got decent results with processing in Rodinal in an enamel tray but not as good as yours. Would you like to elaborate on your technique a little more? Which x-ray film are you using? I’ve had different results between the green sensitive and blue sensitive. I use a Paterson Orbital plastic tray for processing my 10×8 sheets. For 5×4 I use a MOD54 spiral. I am using the blue sensitive Fuji RX-N, 8×10”. The white sky and dark foliage it produces is what I’m looking for. I tried the Jobo with stripping, also hanger-tanks but am getting the best results using a tray. But still not as homogenous as I want them to be. What differences did you see between green and blue sensitive? So far my experience with blue sensitive has been that it’s very fussy/sensitive when developing and I have really struggled to get an even result without any patchiness. I don’t have that problem with the green sensitive. That’s the main difference I have seen so far.